Jackson County Sheriff’s Office is currently seeking applicants that have the desire to work as a Deputy Sheriff in a proactive law enforcement agency. Jackson County is intersected by US Hwy 75, and contains the largest Tribal casino with two more casinos on our northern border. Jackson County borders the northern edge of Topeka, which presents plenty of work, and opportunity for the proactive deputy, while at the same time offers the best of rural life. Must be able to pass the applicant testing, background investigation, polygraph, psychological exam and drug screening. Must be open to scheduling flexibility (must have the ability to work any shift, weekends and holidays). Must possess a Kansas Driver’s License with an acceptable driving record at the time of appointment. Applicants must be of good moral character with no felony, or domestic battery convictions. 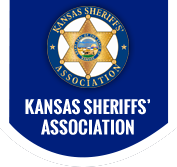 OBTAINING AN APPLICATION: Applications are available at www.jasoks.org or at the Jackson County Sheriff’s Office at 210 US Hwy 75, Holton, Kansas. This position will remain open until filled. For more information call 785-364-2251. The Jackson County Sheriff’s Office is an Equal Opportunity Employer.